Up till today, Session Beer Day was all about the little folks: me, you, some brewpubs, and some bars. Today we got support from some much bigger friends! New Holland Brewing jumped in with a special price for the day at their pub. And yes, I know Full Circle weiss is 4.9%; don't be a hater, just get the Doug E. Fresh at 3.0%! Thanks, guys! Make sure you're prepared for #SessionDay on April 7th, drink anything under 4.5%. 312, Honkers Ale, and Old Town Yard would qualify! 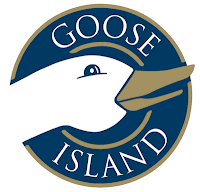 Thank you, Goose Island! Now...if we could get some Levitation Love at Stone World HQ...and some official love from our favorite session brewers in Philly, Yards and Philadelphia Brewing...and maybe some shout-out from Vanberg & DeWulf over Avril and Jade...my Session Beer Day world would pretty much rock. Lew, working on getting some interest in Chicago. Map Room is in, with at least 3 session beers on tap. I'll suggest highlighting Avril bottles. I've reached out to Revolution Brewing which makes some proper Brit-ish beers including Working Man Mild.